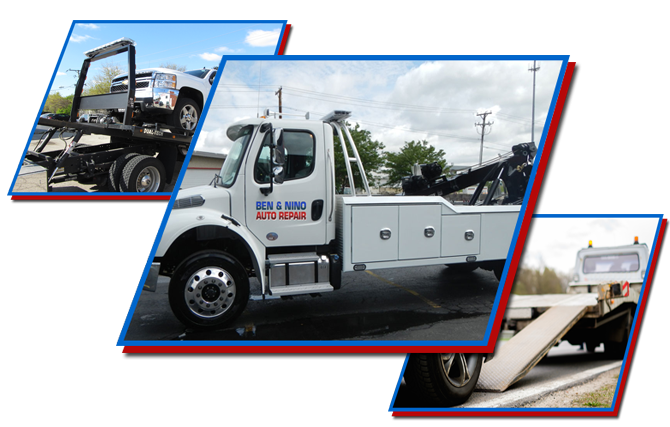 Whenever you are in need of roadside assistance, Ben and Nino Towing and Auto Repair is the best team to contact for car trouble anywhere in Brooklyn. If it is someone else’s car that is the problem, we can deal with that too. We can remove any unwanted vehicles and get them out of your hair so you can get on with your day. We are familiar with all areas of Brooklyn and are in the Carroll Gardens area every day. If you are anywhere from 4th Avenue to the BQE or the Columbia Waterfront, from Atlantic Avenue all the way down to Red Hook, we can be there to help you in minutes. Once we arrive to help, you can expect the finest service. Whether we are simply needed to get your car back on the road immediately by changing a tire or giving your battery a jump start, or if we need to bring your vehicle back for more serious repairs, you can expect our team of ASE certified mechanics to repair your car, truck, or motorcycle quickly and effectively to have you mobile again before you know it.